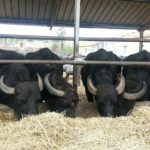 This tour option will have us leaving your accommodation to the area of Cilento, just beyond the Amalfi Coast and in the heart of the Buffallo Mozzarella region where you can see the buffaloes and the stables where it all begins. On the tour you will see how these magnificent animals are born, grow and spend their days between feeding, milking, washing and relaxing. We will then move on to the processing of the mozzarella, where old traditions are combined with modern technology to make an excellent final product that you can then of course taste! Bite-sized mozzarella, fresh yoghurt made with buffalo milk, ice cream and homemade dessert…you will be spoiled for choice to fill your day with all things delicious. Of course we will also recommend a wonderful restaurant to experience a lunch that will feature all the amazing dairy products and buffalo meat that have been featured throughout out the day. Following your visit to the dairy farm, we will travel to Paestum, the home to one of Europe’s most glorious archaeological zones. Deemed a World Heritage site by Unesco, it includes three of the world’s best-preserved ancient Greek temples, as well as an engrossing museum crammed with millennia-old frescoes, ceramics and daily artefacts. Paestum – or Poseidonia as the city was originally called, in honour of Poseidon, the Greek god of the sea – was founded in the 6th century BC by Greek settlers and fell under Roman control in 273 BC. RECOMMENDATION: Visit the archeological site of Paestum with a PRIVATE GUIDE for a much more rewarding experience.